Entrance Fee: Entry & trekking charge is 275 INR per head. Trek Timings: Best time to start your trek is 9AM onwards, from Iruppu Falls. Trek Duration: The entire hiking trip takes up nearly 12 hours for two-way journey. 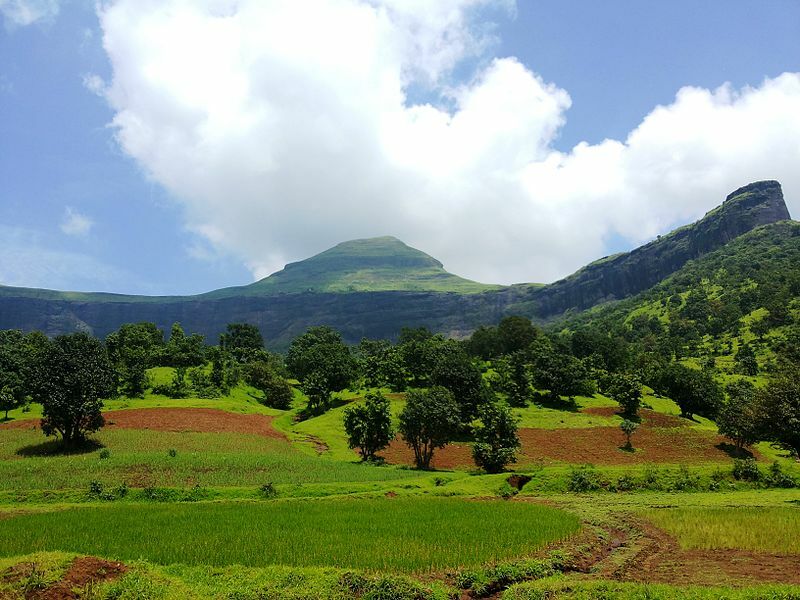 This is a 1608 meters-high magnificent hill, situated atop Brahmagiri Wildlife Sanctuary. It is part of Brahmagiri range of mountains that lies in southern Western Ghats. Coorg district (Karnataka) and Wayanad district (Kerala) borders this mountainous region. 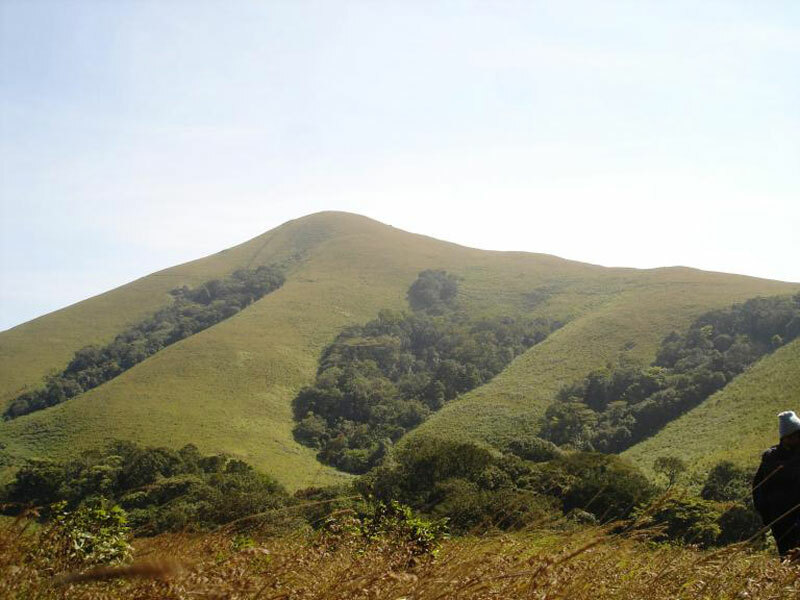 Visitors generally trek to this peak from Iruppu Falls, Coorg. This landmark peak is covered with tropical forest and abundant in wildlife. Get legal official permit before commencement of your trek, from state forest department. Wear sports shoes or boots to walk on the forest floor. Apply insect repellents and wear fully-covered clothes. Carry bottled water, first-Aid kit, and flashlight. Follow the specified trek route, only. Refrain from dirtying the place and throwing trash. Look out for your belongings and ensure personal safety throughout your journey. Strictly follow the rules & regulations laid out by the forest department. Enjoy the cool climes of the forested area as you continue your hike. Capture the natural beauty of its tropical plants, flowers, and grasslands with your camera. Have a rendezvous with wild animals inside the sanctuary. Gaze at different species of birds chirping and perched on these tresses. Get entertained by the antics of various monkeys and macaques sitting and swinging around. Set up camp, rest your tired muscles, and have refreshments, at Narimale forest campsite. Get mesmerized by amazing panoramic view of the surrounding regions, from Peak’s ridges. There is a plaque with engraved inscription providing name and details about the site. You can hire a local guide at Iruppu Falls or Srimangala to accompany you during your trek. The month of May and October are the ideal months to undertake a trekking trip to it. Visitors avoid coming here during monsoons. Travel to Srimangala village (10km) or kutta to reach Iruppu Falls that lies 9km from here. You can hire vehicles to come to the waterfall site. You will need to walk through a forest trail passing near this cascade zone. Make a stop at Narimale Camp (5km) for a camping break while en route to the imposing peak. Mysore Railway Junction (110km) and Mysore Airport (113km) are the nearest railway station and airport, respectively, to its location. Range Forest Officer at Srimangala village (Karnataka) is the authorized personnel for granting trekking permission. You can camp only at Narimala Forest Camp, located 5km from here. Leeches are found in abundance on grounds between Iruppu Falls and jungle campsite. The region between forest camping ground and Brahmagiri Peak is covered with tall grasses called shola, interspersed with a few trees. Its trekking route passes through several steep hillocks and valleys. Endangered wildlife species can be spotted, such as Leopard Cat, Malabar giant squirrel, Nilgiri Langur, sambhar deer, and pangolin. It is home to several varieties of snakes, including Indian Python and Malabar pit viper. Rare bird’s species, such as, Malabar Trogon and Emerald Dove, are found in good numbers, here. Hence, this place attracts ornithologists and wildlife researchers in large numbers. This famous peak of Karnataka is a favorite among trekkers, bird watchers, and wildlife lovers. Even if you are a non-adventurous traveler, you should visit it to get a once-in-a-lifetime kind of experience. Have a safe and enjoyable trekking trip!